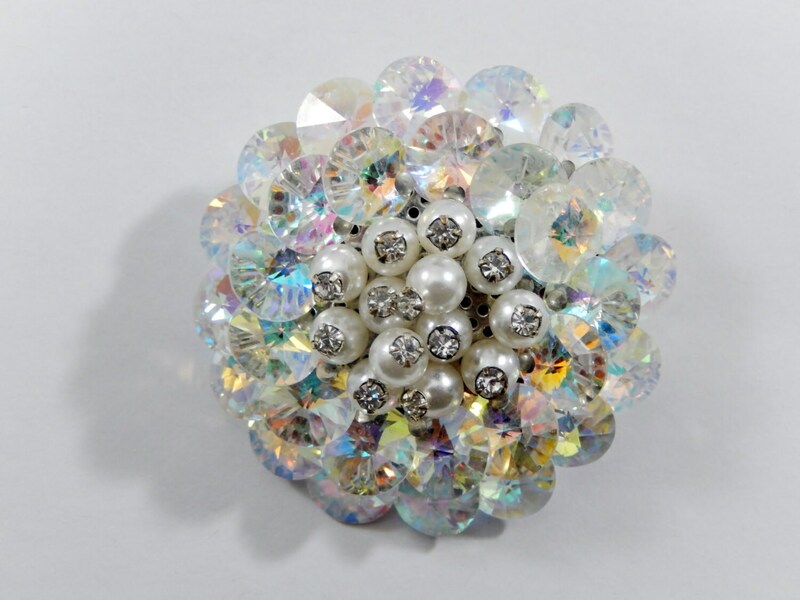 This is a gorgeous unsigned vintage brooch that consists of a rhinestone and faux pearl cluster set on a silver tone disc. 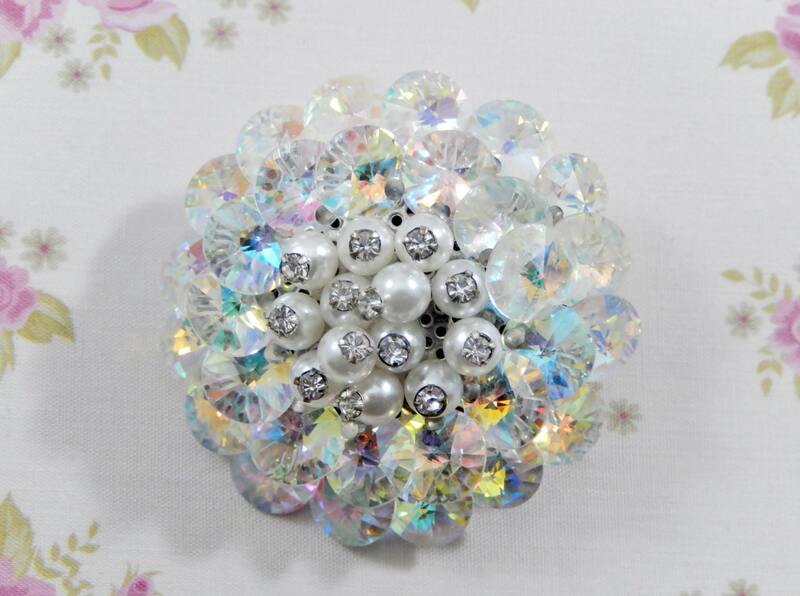 The center is thirteen faux pearls set with clear rhinestone head pins through the pearl center. Around the pearls are two concentric circles of clear AB rivoli rhinestones...thirteen in the inner circle and sixteen in the outer circle. There is a small fleabite in one of the outer rivoli stones, but not noticeable unless you are looking for it. 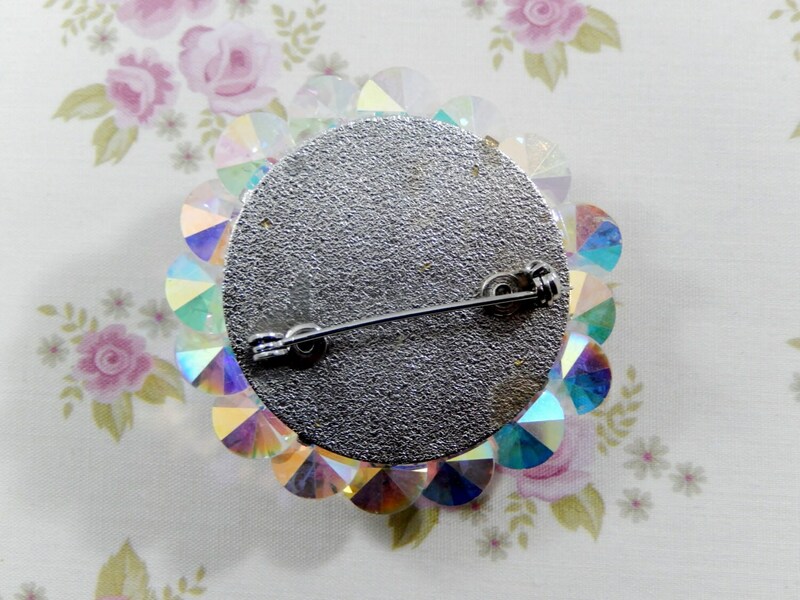 It measures 2" in diameter and the pin closure is straight and works smoothly and securely. This is a beautiful cluster brooch and the shining rivoli rhinestones accentuate the pearls and their rhinestone headpins in a dramatic way. A wonderful addition to any collection! !